Mrs Gladys Morda (nee Sutton) has kindly made this photograph available. She recalls all the names but not the exact occasion for the dressing up – May Day perhaps? 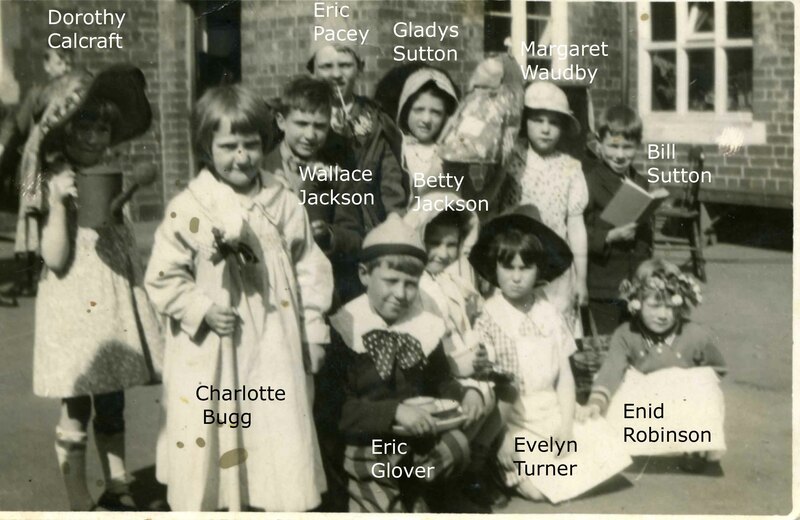 Standing left to right: Dorothy Calcraft; Charlotte Bugg; Wallace Jackson; Eric Pacey; Gladys Sutton; Margaret Waudby; Bill Sutton Jnr. Front kneeling left to right – Eric Glover; Betty Jackson; Evelyn Turner; Enid Robinson. This page was added on 09/08/2008.